With a one year old and a four year old, my love for caffeine has definitely grown. Coffee, mochas, lattes, teas – any kind of caffeine will do. However, when I drink too much caffeine my heart pounds and my head hurts. So I cut down on the amount of coffee I drink, and it helped tremendously! Cutting back on coffee made me long for the aroma. I absolutely love the smell. I could sit at our local coffee shop and take it in for hours. But I’ve found an even better way to smell coffee all day! Coffee essential oil. I am in love with cold-pressed coffee essential oil. It smells warm and energizing, just like a fresh brewed cup of coffee. When you first smell the oil in the bottle it is quite strong, but once blended into a lotion or cream it becomes subtle. 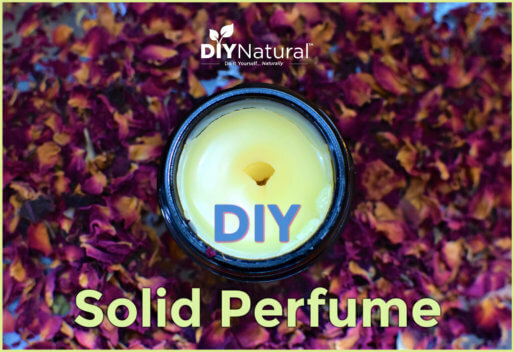 I often find that it does well when blended with sweet orange, vanilla CO2, or copaiba balsam. I’m sure you are wondering: does coffee essential oil contain caffeine? That means that coffee essential oil is generally safe for those sensitive to caffeine. This is wonderful news for those who love coffee but can’t drink it! Coffee essential oil isn’t recommended for use around children. That’s fine by me because my kids don’t need caffeine in any small amount! That’s why I prefer to use coffee in a personal aromatherapy inhaler versus diffusing. Furthermore, I find that when I diffuse coffee essential oil, the scent is almost too subtle to notice. 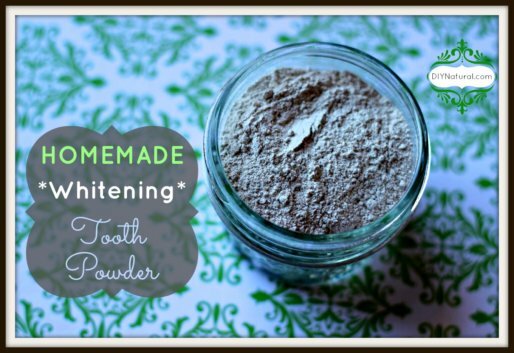 It works best in creams, scrubs, and roller bottle blends. The aroma is strong at first, but fades fairly quickly. 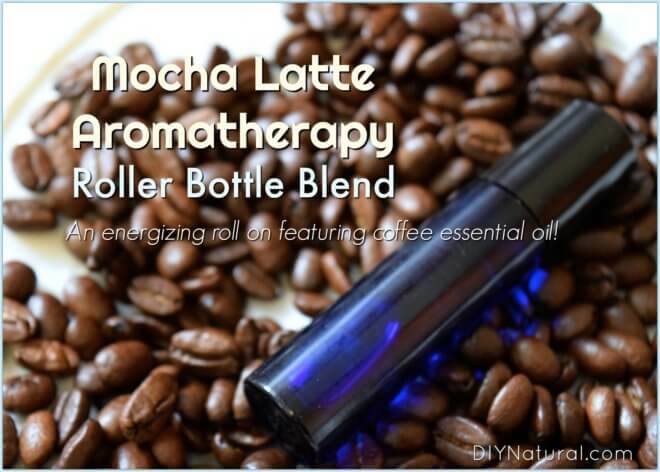 Today I’ll share with you my favorite way to get a quick caffeine fix with this DIY Mocha Latte essential oil roller blend. It’s a lovely blend of warm coffee, relaxing copaiba, and nourishing sweet almond oil. Great for an on-the-go pick me up. This blend smells like a lovely mocha latte. It has warm chocolate and vanilla notes as well as the smooth coffee aroma that we all love. Place 3 drops of coffee essential oil and 2 drops of copaiba balsam essential oil in a 10 mL glass roller bottle. Cap and turn upside down to help the oils disperse. Be sure cap is secured tightly, and shake to mix well. This handy roller bottle will go easily in your purse, backpack, or pocket for an on-the-go pick me up. Just roll on pulse points, on your neck, or behind ears. You can even just open the cap and inhale. 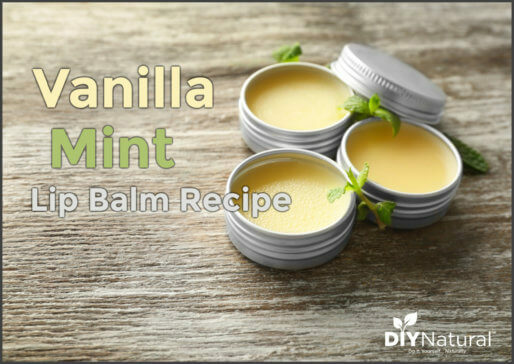 If you are looking to add a stronger aroma of vanilla, you could try adding a drop of vanilla CO2 or vanilla oleoresin. Those tend to be strong so a drop would be just perfect for this recipe. If you are looking for a lovely gift idea, this DIY Mocha Latte aromatherapy roller bottle would go nicely with A Homemade Hazelnut Coffee Sugar Scrub Recipe or this Homemade Peppermint Mocha Coffee Creamer Recipe.